Communications Africa magazine is an essential subscription for anyone who is interested in knowing everything there is to know within the area of telecommunications in Africa.Communications Africa is published in both English and French and delivers full coverage of the communications and broadcast sectors across the continent. Communications Africa magazine contains aspects relating to telecommunications, broadcasting and information technology with regional relevance to both the public telecommunication authorities and the private sector. 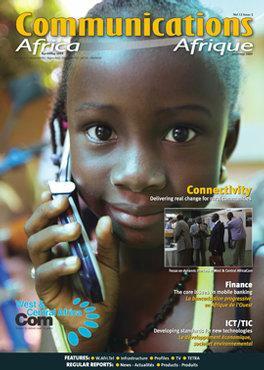 Each issue of Communications Africa magazine includes regional news reports, a country focus, new technological trends, market updates and exhibition previews and round-ups.Subscribe to Communications Africa magazine today and stay up to date with all of the goings on from the world of African telecommunications and information technology. Be the first person to tell us what you think about Communications Africa and you'll save £2.50 on your next purchase!